Something exciting has stirred my heart so it's time to make it happen! 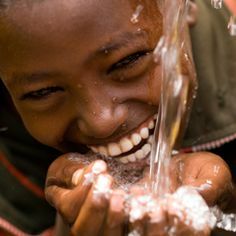 My greatest desire is to help those in need, my heart has and will always be drawn to people in African, for this reason I've started a campaign with the water project, to built a water well in Africa! I understand everyone's heart aches for different causes and that's ok but if you would like to be a part of this please click on the link below and donate, every dollar counts. It will be open for the next six months, hopefully my goal of $5000 will take less than this, either way & however long it takes we'll make it happen!